Why Concerns of Police Survivors is so much more than just a person handing out a check. On the evening of August 10, 2005, I recall being particularly pleased because I had the house to myself, which was a rarity in those days. 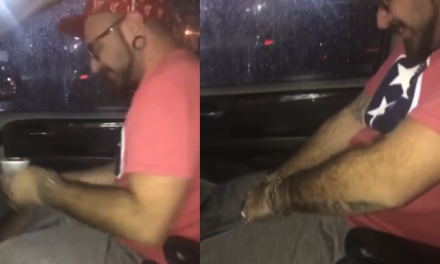 When my doorbell rang around 10pm, I assumed Tim had forgotten his key, which was a regular occurrence due to the fact that we had recently married, and moved into a house without an attached garage. Rather than Tim, however, I was stunned to find on my doorstep his Lieutenant and the department chaplain. That fragile, pivotal moment shattered my world into a million pieces. Tim and I had been married for merely five weeks, and suddenly I was forced to face the reality that I would now have to bury my new husband. In the days following, I felt I was struggling to draw every breath, and I had to fight the urge to just lie down and give in to the pain. I felt so ignorant and helpless. 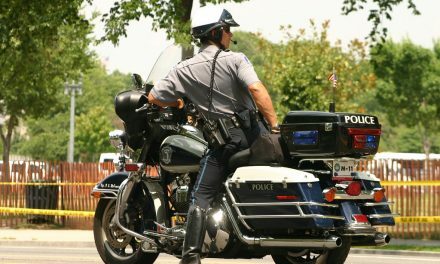 I was greatly unfamiliar with law enforcement and its deep-rooted traditions, and I had trouble grasping the meaning of much of it. 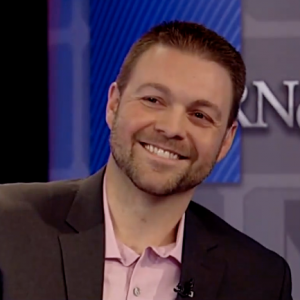 I stumbled through the funeral planning, challenging family dynamics, and tried desperately to shield my two sons, 8 and 11 from the prying eyes of the curious public and the relentless media. 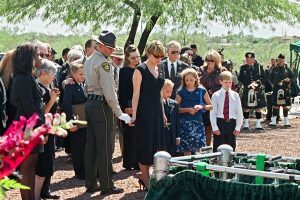 Somehow, I managed to navigate the funeral, with tremendous support from my family, friends and Tim’s agency, the Pima County Sheriff’s Department. Over an eight day stretch, I spent virtually not a moment alone. Until suddenly I was. It was in those moments of solitude that the emptiness set into the pit of my stomach. My modest home felt far too large, but I also suffered bouts of terrifying claustrophobia that left me breathless and incapacitated. I was able to pull it together (most of the time) for my children, and on some level the need to maintain normalcy for them, led me to a sort of “fake it ’til you make it” survival technique. Resuming work quickly, because the endless days being home alone haunted me, I fell into a sleepwalking routine with my life. Plodding forward, tamping down any emotion that might make an appearance, I trudged through the subsequent weeks and months like a battle worn soldier. Then a small blonde woman walked into my restaurant, and changed the course of my life. Before I met Jan Blaser-Upchurch, it had never occurred to me that there were other people out there who knew exactly what I was going through. 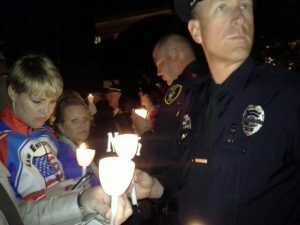 Who had walked the same path, and experienced the uniqueness and solitude that was losing an officer in the line of duty. The connection between us was swift and strong. Communing with someone who had experienced the same gut-wrenching reality I had, and seeing that they had walked out the other side, intact, joyful and hopeful for the future lit a fire in my belly. I realized I had a million reasons to lie down and give up, or I had one reason to go on. That reason was hope. 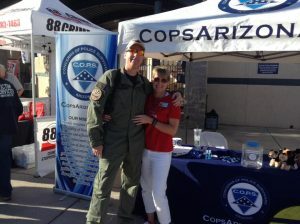 Jan introduced me to the Arizona chapter of C.O.P.S, and travelled with me to Washington DC for National Police Week. She held my hand the first time I laid eyes on my husband’s name engraved on the memorial wall, she accompanied me to the candlelight vigil, and she made me laugh… a lot. Jan’s work with survivors and her dedication to Concerns of Police Survivors and their mission was such an inspiration to me, and as I grew in my journey to health and healing, one thing became especially clear to me, I wanted to be a part of this remarkable team. I wanted to give others the gift that had been given to me by the courageous survivors I’d met during my time at Police Week. I wanted to lift others up as my family had been lifted. In 2010 I joined the Arizona chapter as trustee, and I have served proudly as a board member since 2011. Concerns of Police Survivors is not an organization that writes a check and disappears. We are a family. A family of survivors. And we pledge to stand with any survivor in need, shoulder to shoulder, to help rebuild their shattered lives, step by step and brick by brick. 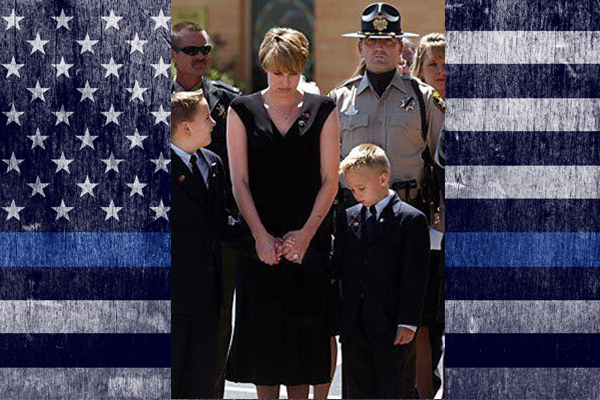 We are a family of individuals who have walked the weary path, faced the hopelessness and fear, and navigated the inexplicable grief and pain of losing an officer in the line of duty. And through that journey we have emerged, perhaps a bit scarred, perhaps a bit battle-weary; yet stronger, healthier and prepared to kneel beside any survivor brought to their knees, to bring them up onto their feet again. As once we were helped onto ours. My life since those early days has been at times unbearable, and at times awe-inspiring. I have watched my little boys grow into remarkable young men. I have been blessed with a husband who not only adores me, but supports me unconditionally in everything I do with C.O.P.S. and Law Enforcement United. He stands proudly in attendance when I tell my story, never threatened by the fact that I shed tears over another man. I have sat with countless survivors as they recounted their stories, and I have tried to not only be a safe harbor for them, but to be an inspiration to them merely by the way I live my life every day. Maybe my contribution to this world won’t be something I do, but someone I help. I believe when we face unimaginable tragedy in our lives, we all are given a choice to make. We can let these events destroy us, or we can let them reshape us into even better versions of ourselves. Every day I continually strive to better that version, to do within my community, that which countless survivors have who came before me. To inspire hope, healing and courage in those taking their first shaky steps into the unknown. 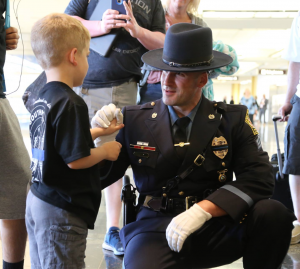 Editor Note: While there are a tremendous amount of good people and incredible 501c3’s in America, Law Enforcement Today is proud to support Concerns of Police Survivors (C.O.P.S.) 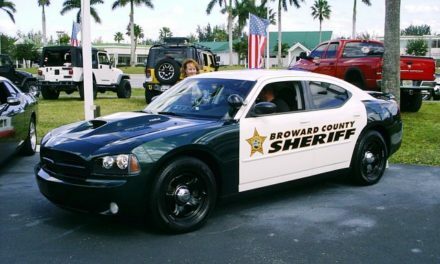 as our “charity of choice” for supporting the survivors of fallen officers. We hope you’ll consider doing the same. C.O.P.S. 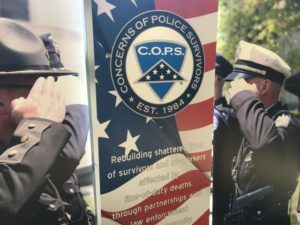 programs for survivors include the National Police Survivors’ Conference held each May during National Police Week, scholarships, peer-support at the national, state, and local levels, “C.O.P.S. Kids” counseling reimbursement program, the “C.O.P.S. Kids” Summer Camp, “C.O.P.S. Teens” Outward Bound Adventure for young adults, special retreats for spouses, parents, siblings, adult children, extended family, and co-workers, trial and parole support, and other assistance programs. C.O.P.S. knows that a survivor’s level of distress is directly affected by the agency’s response to the tragedy. 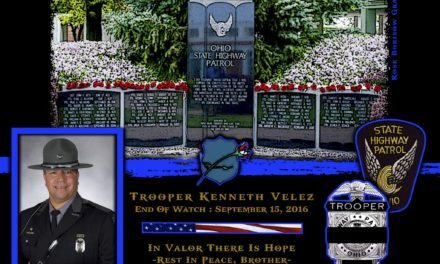 C.O.P.S., therefore, offers training and assistance to law enforcement agencies nationwide on how to respond to the tragic loss of a member of the law enforcement profession. C.O.P.S. is a 501(c)(3) non-profit organization. C.O.P.S. programs and services are funded by grants and donations. Would you like a dash of testicles with your salsa?